A Typical DAY in 5th Grade (for me!) And Questions Answered! In my district last year, 5th grade started a program where everyone of our kids got a Chromebook. They weren't allowed to take them home, but each child had their own individual Chromebook that they carried around with them in their own bag. The Chromebook went to every class. I cannot begin to tell you how wonderful this is and how it has changed my teaching. We are able to do SO MUCH MORE now that we have access to all this technology. It enhances our lessons and engages the kids on a whole other level. 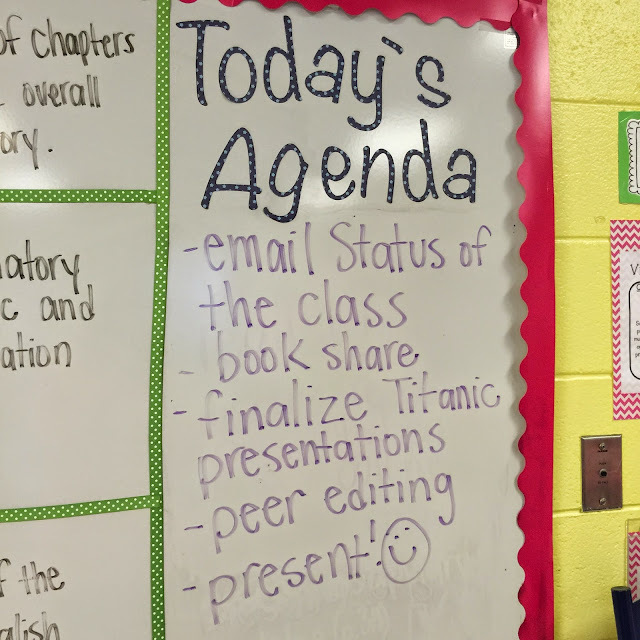 Sometimes our lesson that day doesn't require the need for the Chromebook and that's okay. BUT we do use them everyday for our warmup (Status of the Class). So let's get started with a typical day. Here's a rough overview and then I'll elaborate further. So, what is Status of the Class? We were required to start doing this a few years ago as part of STAR/Accelerated Reader. 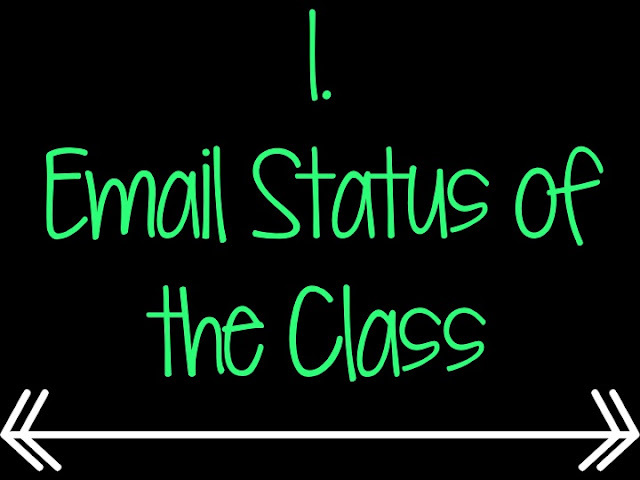 Status of the Class is where students "check in" with you to report what book they are reading and how far along they are in that book. They write down what book they are reading each day and what page number they are on. I love keeping this because it allows you to monitor how much your students are reading, what kind of books they navigate towards, and how much they abandon books. Do you have this problem? Some of my kids abandon book after book. By keeping a status of the class, it adds a little bit more responsibility to the students about not abandoning books. I conference with students each day and ask about their progress if I see they aren't reading much outside school. Now that all my kids have Chromebooks, they email me daily with their status. They tell me what book they are reading, what page number they are on, and what part they are on. I LOVE the fact that they now have to tell me about the book. It helps me monitor comprehension. Plus, it's getting in writing! 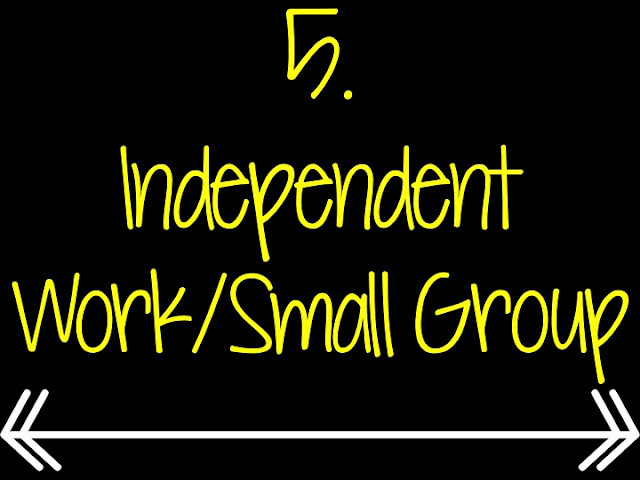 I love starting class with this because it's something that they can sit down and work on. I don't have to settle them down and instruct them while waiting for everything to get unpacked. It's routine and they know what to do. 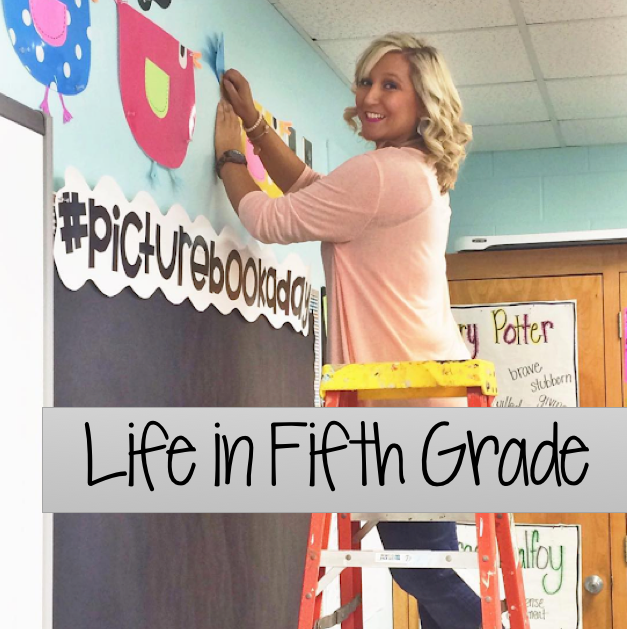 This helped create a love of reading in class, therefore making it one of my favorite activities! After we finish up Status of the Class, we have 1 person do a quick book share. These last around 5 to 7 minutes. The presenter comes up to the front of the room, writes the book title on the board, and give a brief summary of the book. We don't allow any spoilers! After they finish, the presenter ask for questions or comments. We take around 3, depending on time. I just have to share this...one of my sweet girls gave a book share on Flora and Ulysses. After telling everyone about the funny incident with the squirrel almost being sucked up by the runaway vacuum cleaner, I had a line of people wanting to be wait listed for the next available copy! 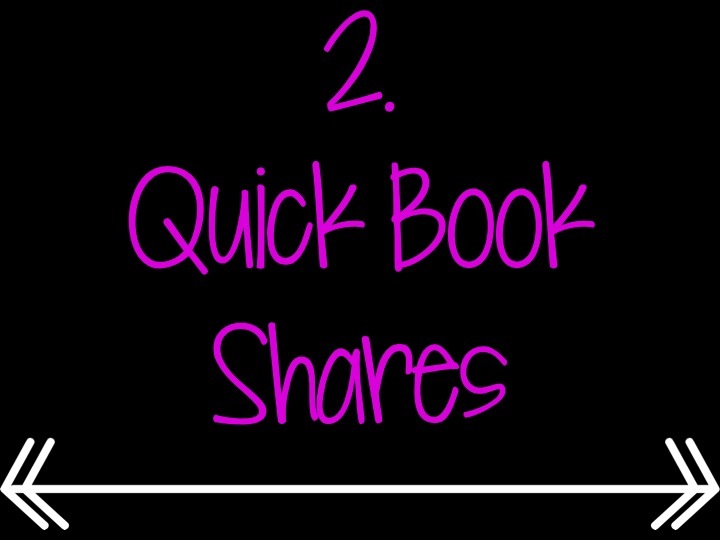 My kids have discovered many new, great books through Quick Book Shares! See those boxes to the left? The top one is for my objective, the middle is the essential question, and the bottom is the focus standard we are working on that day. After finishing the quick book share, we direct our attention to the Objectives board. I don't read the agenda aloud because they can do it (and they do! Read about this board here) I call on someone to read the objective and the essential question. They know they are responsible for answering the essential question at the end of the lesson, which is my exit slip. This is the answer to my essential question. They write it on a post it and stick it under the essential question. I read them and if it is wrong, I pull it off and put it at my desk. The next day, students come and get their sticky note and if their's is missing, they know they got it wrong and they come conference with me :) This works really well! A. I don't do much with spelling. I give them the words on their word list on Mondays, we do a sheet with them at some point in the week, and we test on Friday. The words come from Reading Street. I know spelling is important, don't get me wrong, but I feel like there are more important things to concentrate on. I incorporate them into our writing activities and other assignments throughout the week. Q. What do you do on Language Arts day? Q. What do you look for in your Reading response letter? 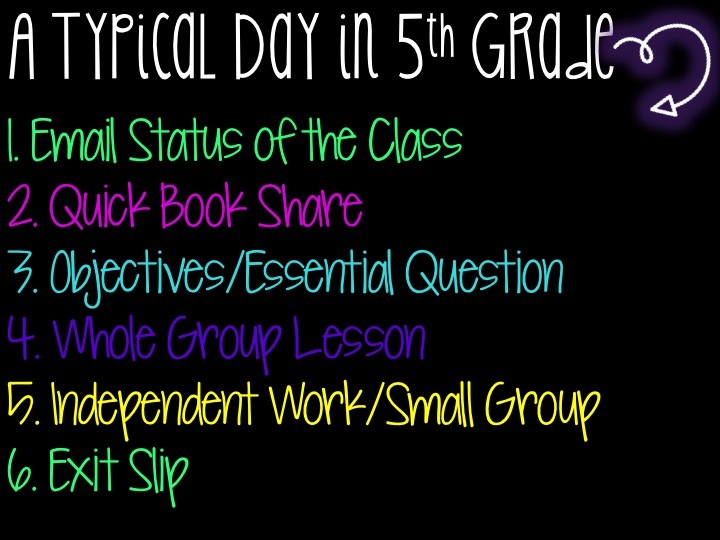 Q. throughout the year would be amazing too... like a picture of your lesson plans. Q. Are your students all on grade level? Do you have to accommodate interventions? A. No. We have the RTI process at my school, so that's how I accommodate struggling students. Q. What does your first week look like? Q. Also, when you teach a novel, do you read it together or do you have them do the reading on their own? A. A mixture of both. I mostly read it because of time and I want them to hear a fluent reader read. BUT them actually reading it and practicing their fluency is important to! So I usually take a page and have them take turns reading it to their partners, concentrating on expression, tone, and rate. Do you use the test that comes with RS to test skills? If not how do you test reading skills? The table you create that you showed a picture of.... That is yours not the kids, correct? Like you have a copy of that paper filled out every day that you keep for your record. You said that the kids fill it out. So everyday you have them write on that paper as well as their own individual chart that they keep their own record of daily statuses on? 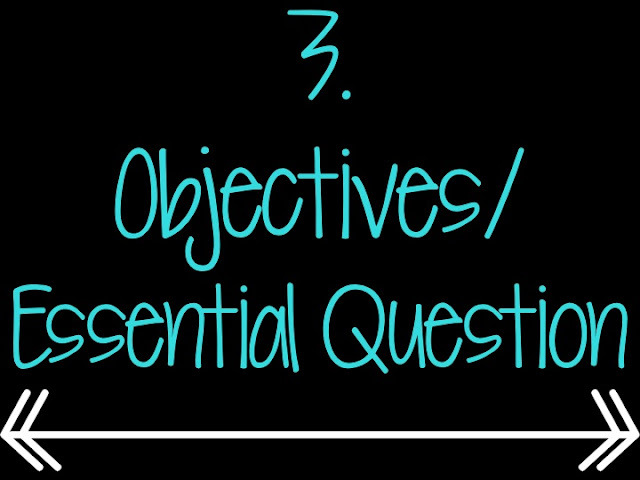 If you are teaching the same skill throughout the week, what do your essential questions look like? I'm curious how you plan to incorporate the Word Nerds vocab stuff into your schedule. I also teach ELA in departmentalized 5th grade and struggle to get in reading, vocab, grammar, writing, spelling, listening and speaking standards. I've had to create a "vocab day" once a week just to get it in! You have inspired me to get the Word Nerds book and I've just started reading it. I'm wondering how you will incorporate this into your daily schedule. Also, are you reading in your class novels everyday? Always love reading your posts! We don't teach Spelling either. I don't even give out words and have a Spelling test anymore, but I sure do plan to incorporate 5 Vocabulary words that we will really focus on for the week since reading Word Nerds. Thank you!! :) :) I'm glad to hear you say that! I feel like vocabulary is much more important, too! I love the idea of kids emailing their book status, but how do you prevent it from clogging your inbox? Do you open and read all those emails every day? I remember reading you have around 70 students and next year I'll have 100! How do you manage that? I am so looking forward to your weekly lesson plan post... thank you for doing that. You have done an amazing job this sumer with all of your info! Side note question, totally off topic.... did you ever mention how you have students check out books from your class library? Did you use an ipad app? Thank you in advance!!! Yes, if you have an app worth using, please share! I tried a few that didn't play out so well. It's great. We use the A.R. program at our school too and I couldn't keep up which books the kids were reading, if they were really reading, if they were finishing a book, etc... This website (FREE!) will allow the kids to checkout the book from your personal library and will send you a list regularly of overdue books. The initial startup can be time consuming. Plus the program allows you to set up how many books they may borrow, and the time frame as well. It is well worth it! This way I was able to monitor students taking A.R. quizzes plus many other reasons to use it! We don't focus on spelling too much either. 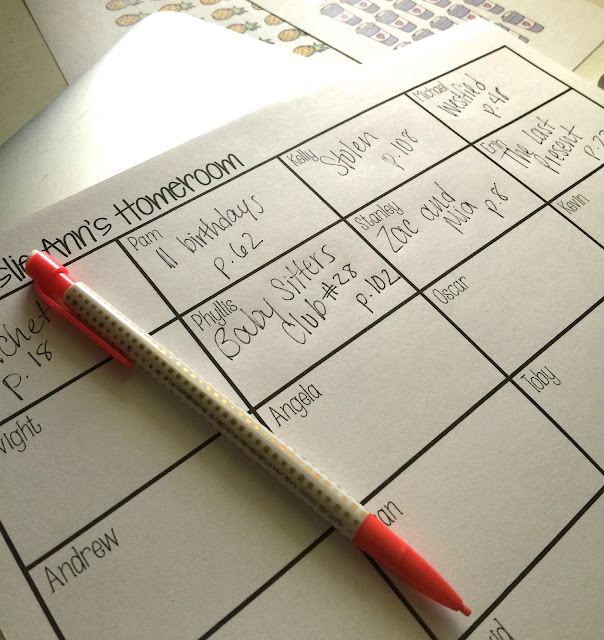 When you use a worksheet through the week, could you share an example of the sheet/activity you would use? I'm a new teacher, and a fifth grade one at that, so I'm learning as I go! Thanks so much, I appreciate your posts so much! For the quick book shares...do you hold them accountable at all...do they fill out a form or they given a schedule in advance? I am enjoying your blog so much. I have shared your blog address with my fellow teachers. You have done an amazing job and I look forward reading and using many of your ideas. Thank you so much sharing all of your wonderful ideas and strategies.